Tomorrow will officially mark the beginning of Spring as the Spring Equinox 2015 heralds warmer weather and longer days for all in the Northern Hemisphere. This means that the days will officially become longer than the nights with more daylight and opportunity for people to get out and about. The Earth has been busy tilting throughout Winter and the Northern Hemisphere has slowly been creeping its' way back towards the Suns' rays. On Friday, the Earth will be completely perpendicular to the Sun with daylight and darkness each getting an even 12 hours for one day only. From then on, the Northern Hemisphere will begin tilting towards the sun which gives us longer days. This motion will continue until September 22 when the Autumn Equinox takes place and the tilting cycle is reversed. There is a slight disconnect between the Spring Equinox and gaining an hour of light in the evenings through Daylight Savings Time. Clocks will go forward on the final weekend of the month, the 29th of March to be exact, and that extra hour will slingshot us all toward Summer. The Equinox is an event that has long historical ties to paganism back when people worshipped the sun as a god. 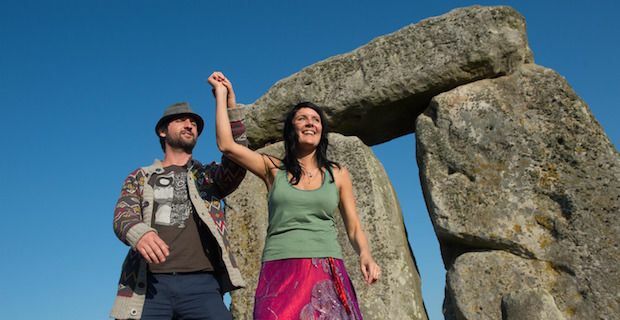 To mark the occasion, a number of druids and pagans will take their places at Stonehenge, an ancient site that was used to predict astronomical events to an astonishing degree of accuracy. And to really add to the astronomical nature of the day, there will also be a rare solar eclipse early in the morning.